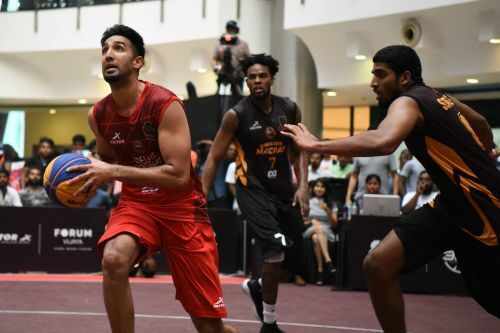 Basketball has always had a huge fan-base in India, all it needed was a professional league showcasing home-grown talent mixing with foreign talent while playing the sport at the highest level possible. 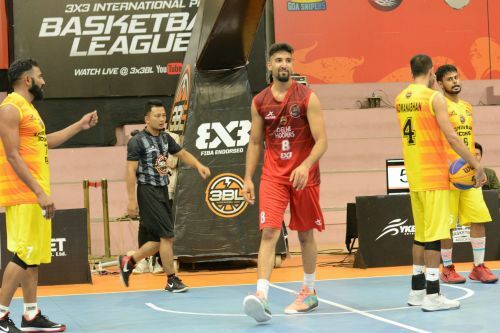 Well, the 3X3BL [India's first ever 3x3 professional basketball league endorsed by FIBA] is doing just that and more. Just completed its 5th round in Bangalore, the league has been dominated by the Delhi franchise so far - owned by Pooja Bhatt. 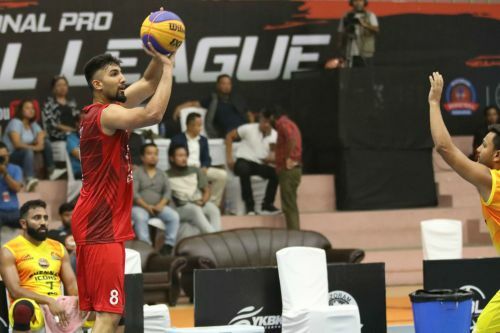 The team has won four out of the five rounds and even the one round they lost, they came up short in the championship game against the Bangalore Machas in Chennai for Round 4. Through their four-peat, the MVP honors have evenly been split between teammates Inderbir Singh Gill and Kiran Shastri. Q: So Kiran, the Delhi Hoopers were Champions in Round 1, 2 and 3. How did the Bangalore Machas stun you guys in the Championship Finale of Round 4 in Chennai? Kiran Shastri: Well, they are a great team with a lot of size. So they tried to use their size to kinda counter our speed. They had a great gameplan and they did a great job at executing it. They kind of took away what we really want to do and they played a great game, which helped them win. Q: You guys upbeat about Round 5 in Bangalore? You fancy your chances again, right? KS: Yeah yeah. Hopefully, we will be able to see them [The Bangalore Machas] again and kinda get a rematch. We definitely want to come to take back that title. Q: Nonetheless, winning three rounds in a row is a big deal. What is the winning feeling like and to round it off, could you tell us what the entire 3BL experience has been like so far? KS: Winning the first three rounds, back-to-back-to-back, is very tough. We, as a team, worked really hard off the court to try and establish a high level of play. Luckily, for us, that translated to on-the-court for the first three rounds. You know just overall playing 3BL has been an amazing experience so far. I'm so happy to be in India playing professional basketball with great Indian talent as well as international talent. This being the first league, it has so much room to grow and get better. So I'm excited for what's in store in the future. Q: Winning those three rounds meant you represented the Delhi Hoopers in Japan at the FIBA World Masters. Could you tell us a little about the level of competition and how it was different there? KS: That was my first World Tour Masters that I ever played in. Indy (Inderbir Singh), Bik and Lima have played in a World Tour before but that was my first one. It was great. You get to see what the top teams in the world - how they play and what it takes to be on that level. It was a great experience. Hopefully, we will have another chance for the Hyderabad World Tour. We'll see what happens. 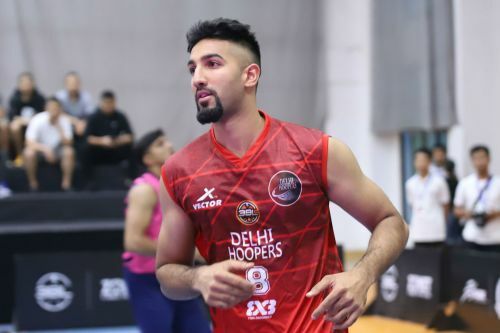 Q: You talked about establishing an identity but I'm sure having Inderbir's [and Bikramjit's] experience of playing 3x3 would have come in handy while winning the first three rounds, right? KS: Yeah, yeah. So, Bik wasn't with us [Delhi Hoopers] for a while in the 3BL but having Indy as a teammate is great. He's very experienced in 3x3 and is a great leader. He's really helped us come a long way. Without him, we definitely wouldn't have won. Q: Did you know the two of them [Indy and Bik] before joining the 3BL? KS: Yes. I played Inderbir and Bik last year in Japan last year. That's where I first met them. Q: So you had followed their pro career before you met them? KS: Yeah, of course. I have seen their success. When they travelled to Abu Dabi for the World Masters, I was in college. Their success travels fast as news in the community, especially in the Indian community. So, it was great to see them. Q: Again, winning rounds is one thing but you were named the Round 3 MVP in Kolkata. What did that feel like? KS: Winning the MVP was nice but you know, more important, for us is to win the tournament. Winning 3 in a row is very tough and to be able to do that in this league is a great accomplishment. The MVP is a nice extra but the bigger picture was winning and that's all that really mattered. Q: So the MVP was just a by-product of the team winning? Q: So, I've asked this question to a lot of the 3BL players. I wanted to know your perspective as well. What's the biggest adjustment to make from 5-on-5 to 3BL? KS: It's definitely the speed and the pace of the game. It's ramped up times 10. It's a lot faster, a lot quicker and a lot more physical. It's not your traditional 5-on-5 style where it's slower. 3BL is quick, it's a 10-minute game and the first team to 21 wins. So, in that sense, it's very exciting to play. Q: One final question, your favourite NBA player and favourite NBA franchise? KS: My favourite franchise is the Golden State Warriors. I'm from San Francisco and I've been watching them for a while. My favourite player would be Kobe Bryant.